Two-time Academy Award-winner Denzel Washington, currently starring alongside Academy Award nominee and Tony Award winner Viola Davis in the first Broadway revival of August Wilson’s Pulitzer Prize and Tony Award-winning FENCES, was featured on “Live with Regis & Kelly” yesterday. 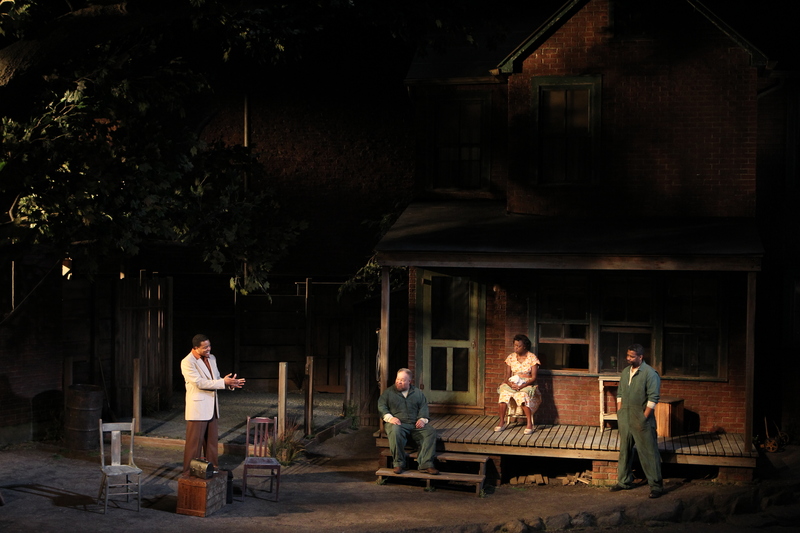 NEW YORK—Family is not a bad place to start when searching for ways to portray the lead characters in “Fences,” August Wilson’s most popular and perhaps most personal play. A highly anticipated revival of August Wilson’s Fences is opening on Broadway next week, with one of Hollywood’s hottest actors — two-time Academy Award winner Denzel Washington — at its center. Standing next to him: Viola Davis, a Tony Award-winning stage veteran and an Oscar nominee for the 2008 film adaptation of Doubt.